In “Kung Fu Panda 2,” Po is now living his dream as The Dragon Warrior, protecting the Valley of Peace alongside his friends and fellow kung fu masters, The Furious Five. Po’s new life of awesomeness is threatened by the emergence of a formidable villain, who plans to use a secret, unstoppable weapon to conquer China and destroy kung fu. Po must look to his past and uncover the secrets of his mysterious origins; only then will he be able to unlock the strength he needs to succeed. HP’s high-performance workstations have been fine-tuned to meet the detailed and demanding creative needs of DreamWorks Animation. 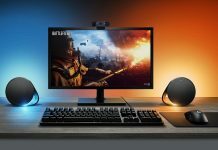 The HP Z800 Workstations are radically faster – as much as 50 percent for some applications – than their predecessors and are the workstation of choice for several studios around the world. 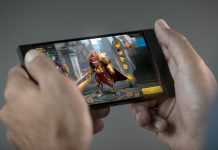 The additional high-speed Intel processing cores, memory and option drives enabled artists to effectively work on multiple shots concurrently and far more interactively than before. The original “Kung Fu Panda” film, released in 2008, used more than 50 terabytes of data and required nearly 25 million render hours. With the switch to stereoscopic 3-D and the ever-escalating creative aspirations of the filmmakers, “Kung Fu Panda 2” used 100 terabytes of data and required more than 55 million render hours. — Creative and technical advancements were required to produce the state-of-the-art character effects, like fur, feathers, cloth and armour, that fill the entire world of “Kung Fu Panda 2,” not just limiting visual richness to the main characters. — When a cannonball hits water in a key battle scene, a big splash is generated to emphasise the power of the impact. For the close-up shot, an FX artist used specialised, proprietary software to render the 10 million particles. — In the film, one of the wolves gets hit with 1,220 peaches, weighing a total of 457 pounds and travelling at 105 miles per hour. This is about the same energy force as getting hit by an automobile travelling at 45 miles per hour. — During the scene when the tower is destroyed, there are more than 50,000 splinters and small pieces of debris produced. — “Kung Fu Panda 2” is the first DreamWorks Animation film to use dynamic, physics-based crowd characters, such as the wolves. 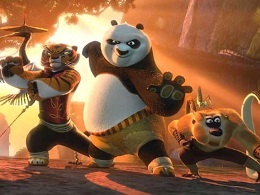 The wolves engage in a kung fu battle with Po and The Furious Five, and are able to dynamically react using a proprietary DreamWorks Animation kung fu physics simulation tool. — The final battle sequence of the film, which takes place in the harbour and canals of Gongmen City, is calculated to contain more than 60 million gallons of water. The scene required the most intensive computational graphics work of the film and more than 7 million render hours were consumed to produce 14,000 frames. Boss, if it’s written by Sarah Britten as it says at the end, remove the by-line at the top of the article! 🙂 You know some settings are predefined in the system – anyhow, thanks for the tip, we’ve found a workaround.